Red Republic has some more previews up for Arena Rex that they've been working on. Plus dice. 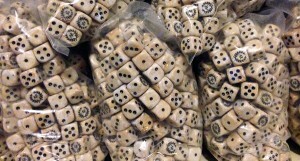 I love dice. Hello hello all, the RRG team is preparing to spend some quality holiday time with our families this week. But first, we wanted to be sure our backers got a nice holiday update :) Let's begin with some new minis.